There is one thing I personally love about Linux: it’s diversity! It’s never wrong to say that everyone has their own Linux for needs. Be it coding, casual usage or the Internet of Things; you’ll find a suitable Linux distro for all these needs. That’s the same case when you need a Linux for kids. There are many choices to choose from. And, every distro offers something else. Linux for toddlers is not really made for general use. They focus on educational purposes – by creating a learning-oriented computing environment. Many educational institutions have already made their change to Linux distros for kids. So, if you are planning for that change, here is our list of the best Linux Distros for Kids. Note: Even in the world of Linux for Kids, you have a wide collection of distros to choose. 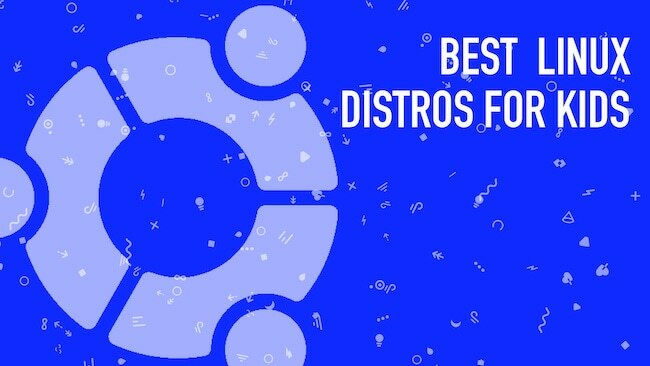 So, we have tried to compile a list with diverse Linux distros. Some of them are for toddlers, while others can be used in high-school level or college. First, on the list, we have the education edition of Ubuntu. If you want to provide your kid the same Ubuntu-based environment, you can go for Edubuntu. It’s developed by Canonical Inc. and is completely free to use. By default, you can find some useful software in the Edubuntu package. It’s a great thing because students and facilitators can start using the OS instantly. Also, when compared to other Linux distributions, Ubuntu holds the best and user-friendly one. One thing kids would love about Edubuntu is the interface itself. The Unity-based designs are easier to learn. Also, it would prepare them to use computers in a professional world. Coming to the software support side, there is equal power. Apart from included software, there is a huge enough collection of third-party, open-source and popular software. Depending on the requirement, you can install that software. For instance, if some of your students are interested in coding, you’d have no trouble in getting a programming tool. Not interested in dedicating an entire system for educational needs? Then, you would be interested in Sugar on a Stick. Here, Sugar refers to a dedicated learning platform, which is quite popular. Based on the concepts of Studio Thinking and Reflective Practice, this is a style of pedagogy for effective learning. 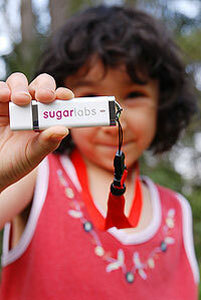 So, within Sugar on a Stick package, you’re getting a fully-fledged learning platform. The best part here is that you can set up this Linux distro on a USB Drive. There is a misconception that Linux is too tech-savvy to be used. However, thanks to the effort of Sugar on a Stick, you can turn things into the simplest manner. All it requires is an x86-based PC. You can simply plug in the USB drive and boot the Linux distro from it. Because the whole UI has been redesigned for learning and teaching purposes, we don’t recommend it for actual computer teaching. As far as toddlers are concerned, this package consists of a lot of learning resources, games, and puzzles. It’s a brand-new pedagogy that has gained a lot of attention. 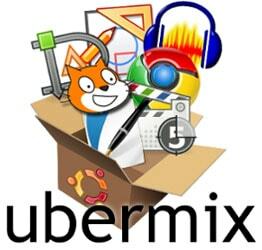 ubermix is one of the best, most popular and innovative Linux distros for kids. It’s a healthy combination of a great UI, awesome features and the right set of software students need. This completely free OS is used in a wide variety of educational institutions. The major reasons for its popularity include the simple UI as well as its pre-installed application support. In case if you are wondering, ubermix comes with 60 free applications by default. And, you have all the freedom to try out the other apps if you wish. We really liked the total design and UI of ubermix. We believe the OS has taken inspiration from many others like Mac OS X and Windows. While the notification bar is Unity-based, we really liked the elements like the Mac-like dock and Windows-like App menu. 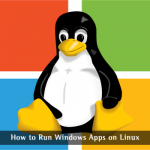 Rather than focusing completely on education-based apps, the package comes with standard Linux apps too. Despite all these, you can set up ubermix in less than 5 minutes. As far as schools are concerned, ubermix is the perfect Linux distro to check out. If you want to see the full list of installed apps, you can find it here. So, here is another old Linux Distro that is suitable for children. Of course, being an old project, it has its own issues. The first one is that today’s children may not like the games included. Even then, if you are trying to create a fun-based learning environment, DoudouLinux would be a nice choice. Just like Sugar on a Stick, this one is also completely focused on learning and education. The UI has been changed radically and you can’t expect standard computation here. However, thanks to the detailed documentation, you have dawn-to-dusk support for using the OS. On the bright side, DoudouLinux has an enhanced collection of apps and games for extensive learning. In a single interface, the developers have managed to include drawing tools and a lot more. The developers add that the package has enough games for an age group of 2 to 12. The best thing about DoudouLinux is in the case of availability and functioning. It’s fine if you don’t want to install the entire OS. You can easily download the autorun CD and run it on your computer. All the resources are available without any glitch. This is a great feature as far as simplicity of usage is concerned. There are several reasons why you should shift into Linux distros for Kids. First of all, all the aforementioned distros are open source and free to use. You don’t have to pay anything for the OS if you’re planning to set up a computer lab or anything. Also, instead of getting some extra software on standard OS, you’re actually getting a learning-oriented OS. It is going to be an all-new learning environment for your students and kids alike. Because we have mentioned the various levels of Linux distros for kids, the choice is yours. If you have one toddler at home, you should try Sugar on a Stick or DoudouLinux. For growing folks, you can try something like Edubuntu. That way, you can give them the right applications, while they get used to the standard lines of computing. No matter whether you are a parent or a facilitator; make the right selection. Also, instead of doing an all-PC method, create a hybrid pedagogy that helps your students. Great information! I am an ubuntu user so I like the Edubuntu for my kids to learn. Thanks for the write-up. I’m trying to get my kids into using computers with some old hardware I have lying around. Some of these are really great for that. I have tried Ubermix with great success. One thing that makes it stand out to me is the ability to install on a workstation using USB key. Then, you can configure it the way you want it and update the image on the key to create a “quick restore” when the kiddos eventually find a way to break it. They say you can have it right back to your default within a few minutes. Otherwise, it’s a pretty stable, trimmed down, low hardware version of Linux.